Chapman's has launched a new Kids Line of products and they are sharing a coupon to get you started! 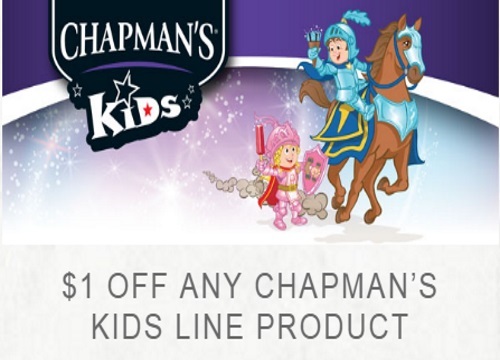 Save $1 off any Chapman's Kids line product! There are only 30,000 coupon available. Limit 1 per household. did not get my coupon. Did you request one at the link posted?